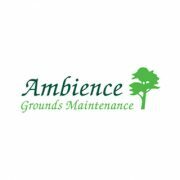 Ambience Landscapes was invited to tender for a 4 year council environmental contract with a potential value of £2m+. I approached Richard Hatton of Adjust Procurement Solutions who carried out a detailed analysis of our PQQ proposal and subsequent full tender document. Despite the fact that Richard was on business in Ireland, he took time and great care to submit a comprehensive tender document using e-mails and the internet to do so. In March this year we were successful in winning the contract worth over £2m. I would suggest that with Richard’s attention to detail and extensive knowledge of the tendering process, all companies looking to expand their business via PQQ, would do well to consult Adjust Procurement Solutions. They provide a highly professional, dedicated and first class service! I would have no hesitation in recommending Adjust Procurement Solutions to anyone.